We love this idea. And if you’re feeling the spirit of giving, chip in! 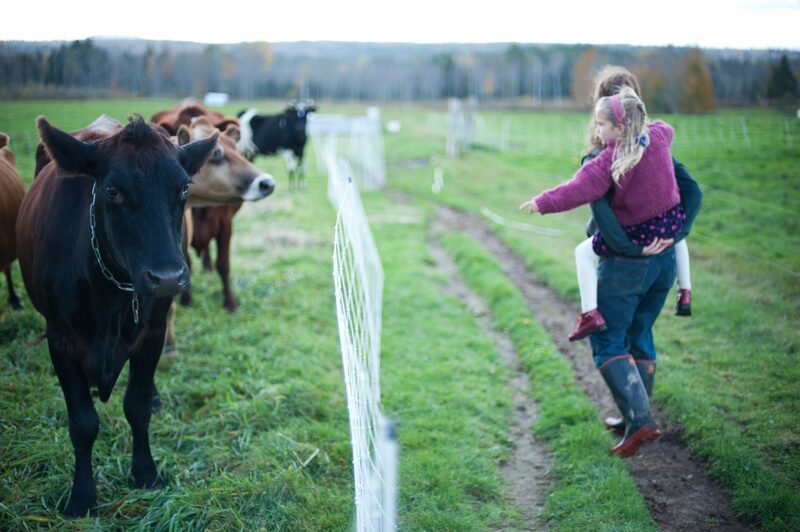 “We brought together between 35-40 of our Quill’s End farm patrons for a potluck–midwives, teachers, farmers, doctors, lawyers, bakers, beer brewers, parents, retired and young to help us brainstorm on some tough obstacles intersecting to pose some real survival challenges to small, diversified farms of our generation. This was a very dear group of people and the level of discussion and sharing that happened was truly phenomenal and a worthy model for any other community. While sharing it was difficult, it has also been a real gift to experience the deep care, love and very attentive thoughtfulness that came from that hard, raw, beautiful day. A lot flowed through. The hurdles we identified are: lack of infrastructure for farming–on farm and off-farm, the banking/finance system, the regulatory system, and the problem of land access/staying on the land. We shared our experience that any one of these hurdles is surmountable and maybe even two, but when they start overlapping, small farms like ours are in precarious positions. Great discussion was had around tough questions we posed: Is a community farm possible? How does a community/a farm make up the difference in the cultural and social value of a farm and monetize that to fill the gaps left by Systems pressures and the earning capacity of the farm? If we can figure this out for Quill’s End, is there a wider impact for other small farms and their network of patrons? If any in the Greenhorns’ network of folks would like to contribute to the Paypal donation effort, you can follow the link below to make a one-time donation or a recurring monthly donation by checking the box next to the amount. We’ll keep you all posted as we proceed down this road.